We’ve announced that Toyota has no plan to introduce the fully redesigned off-road SUV before 2020 a long time ago. That claim turned out to be accurate because the Japanese automaker is getting ready to start with the first testing of the 2021 Toyota 4Runner. There’s not too many information regarding the next-gen off-road SUV at the moment, yet preliminary reports indicate that they are preparing something big for the future. The 2021 Toyota 4Runner will ride on the similar architecture as the Toyota Tacoma. Though, the automaker will try to make it as comfortable as it’s possible with several different ideas which will be based on the same suspension. Of course, the SUV will not skip the chance to offer ultimate off-roading features that will be the most prominent at the TRD model. The TRD will reportedly use standard Fox internal bypass shocks and stiffer sidewall for its tires. The SUV should also receive Tacoma’s multi-terrain select switch that dials in throttle and hill-descent control, traction settings, and power distribution for a variety of terrains including mud, snow, sand, and rocks. 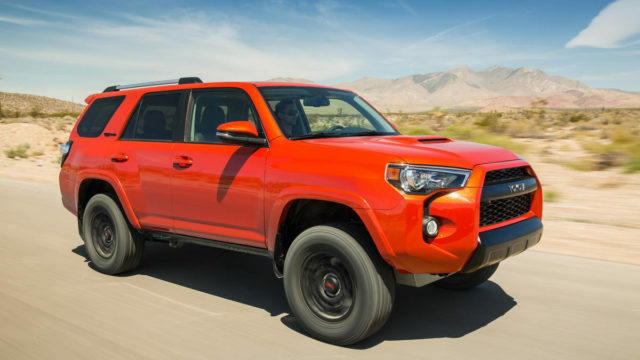 However, in contrast to the predecessor which had no accentuated road-oriented quality, the new-generation Toyota 4Runner will offer a lot better and softer ride thanks to revised damping and spring rates. Performance-wise, well, the Japanese automaker will definitely get rid of today’s 4.0-liter V-6 engine and the outdated 5-speed transmission. Instead, the mid-size off-road SUV will likely rely on a 3.5-liter V6 engine which makes 278 hp and 265 lb-ft of torque under the hood of the current Tacoma. The mill is going to be mated to a smooth-shifting six-speed automatic transmission. Some sources claim that the carmaker is also reconsidering a hybrid option for the next-generation 4Runner, as well as an eight-speed automatic transmission, but we think that neither is going to happen. We have no idea what‘s going to happen with the exterior design of the redesigned SUV, but we do know that the carmaker plans to keep it boxy. The cabin will deliver a higher level of comfort and the latest features such as Apple CarPlay compatibility and Amazon Alexa integration, but not the Android Auto. The drivers will most likely get their hand on the standard Entune 3.0 infotainment system with 8-inch touchscreen. The cabin will reportedly host five USB ports and Qi wireless phone charging. In contrast to the current model which offers fairly poor driver-assist tech, the 2021 4Runner will have a pretty impressive list of them. 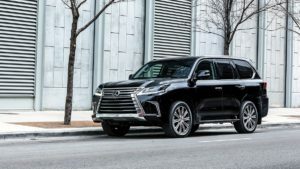 The list will likely include autonomous emergency braking, adaptive cruise control, lane departure alert with steering assist, and automatic high beams, as well as Lane Tracing Assist that provides steering assist to keep the SUV centered in its lane and Road Sign Assist which identifies road signs and pesters the driver about them. Since it’s going to be introduced in 2020, the first testing models of the 2021 Toyota 4Runner should appear in the coming months, so we will hopefully find out more about the redesigned off-road SUV. I hope Toyota will be positioning oil filter on the top of their new engine like it was in generation before 2010. Keep me posted on 4runner updates, thanks. Is that a bad sign?